On July 31, (almost 18 months after the earthquake) the Recovery Plan Blueprint for the Christchurch CBD was launched. The plan is to build the area back better than it was before and Temperzone's Christchurch office is looking forward to working with the plan. To specify, install or buy our equipment we know you need to feel comfortable with our service and support - not just quality and price. Temperzone is proud to be the largest manufacturer of air conditioning equipment in Australia and New Zealand. The Temperzone/Hitachi strategic alliance has delivered the most comprehensive range of air conditioning products available in Australia. 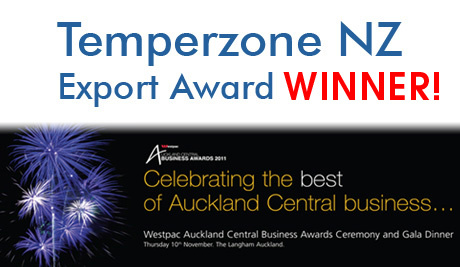 This award is great recognition for the 55 years Temperzone has lead the local industry and supported the local economy by exporting large quantities of its air conditioners.